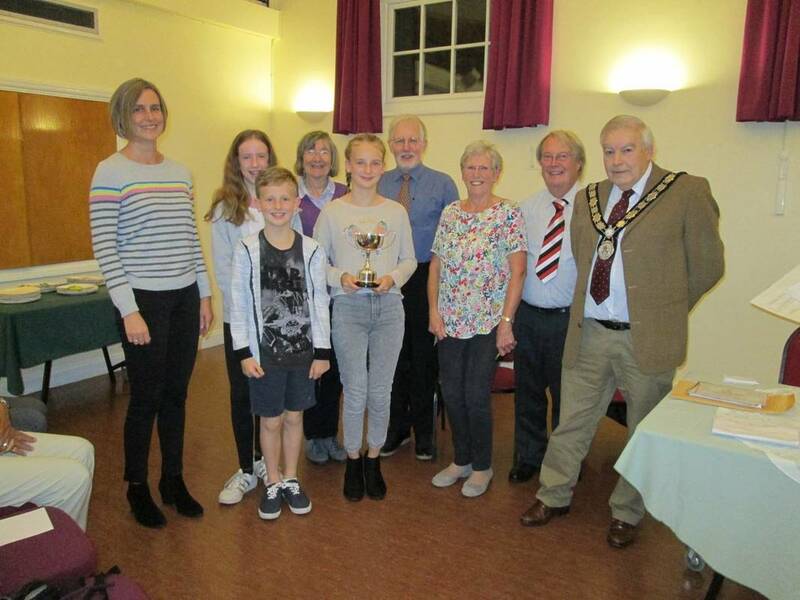 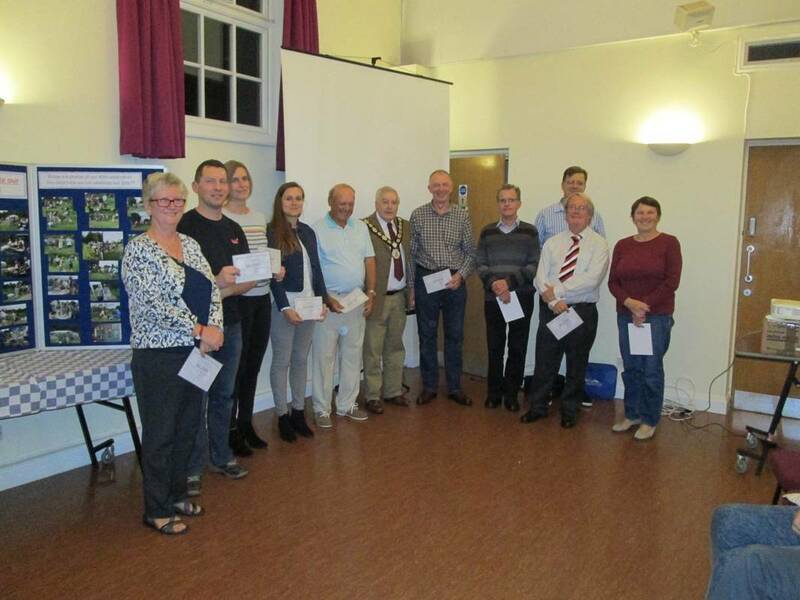 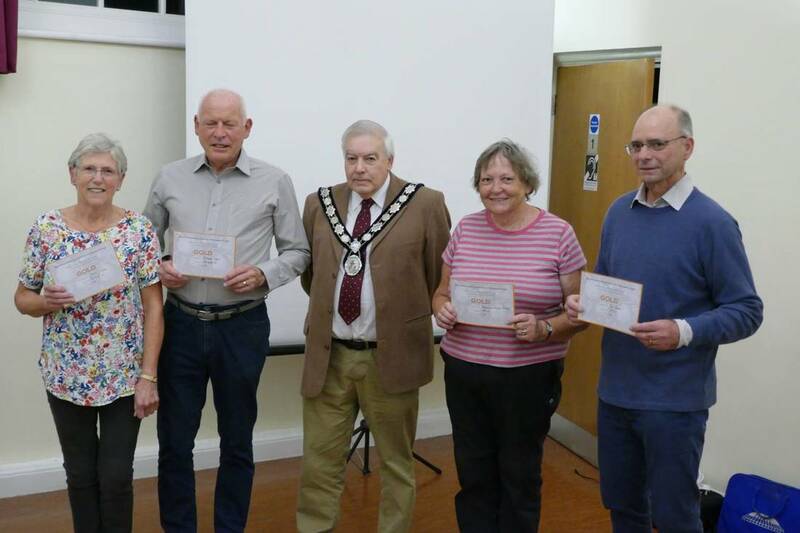 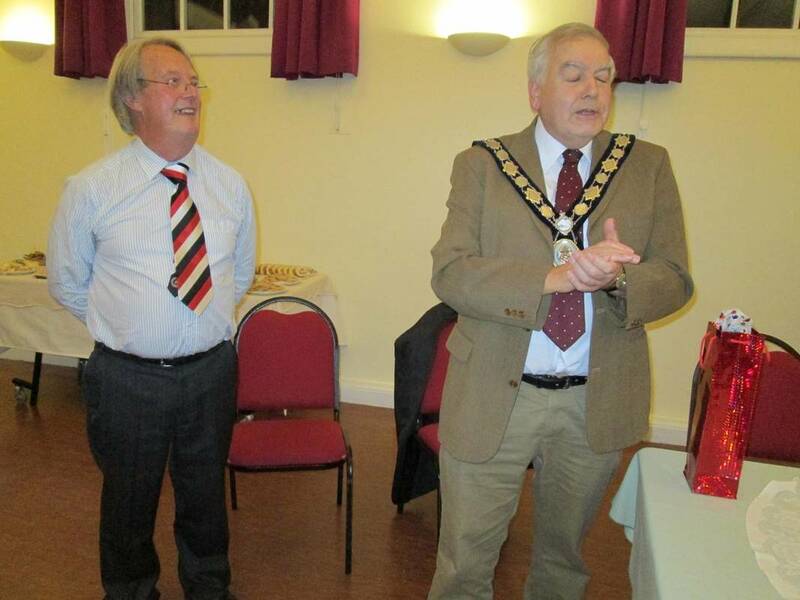 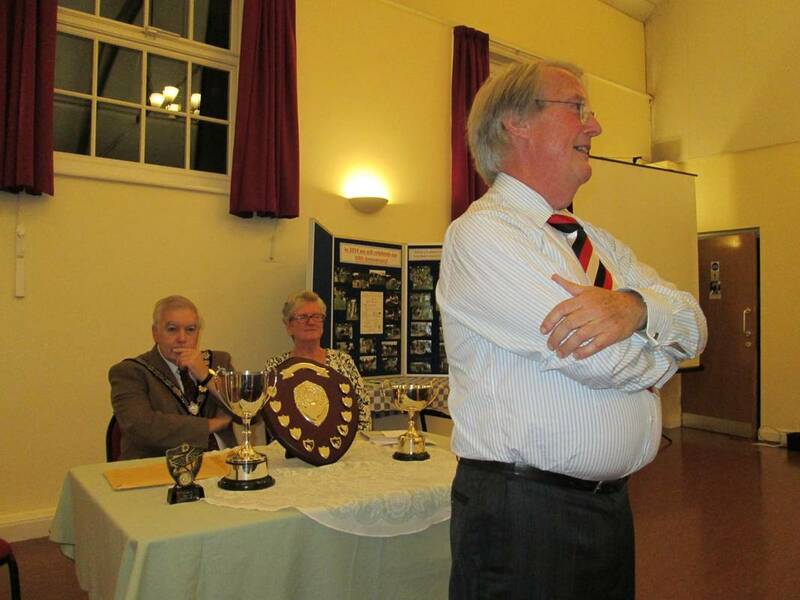 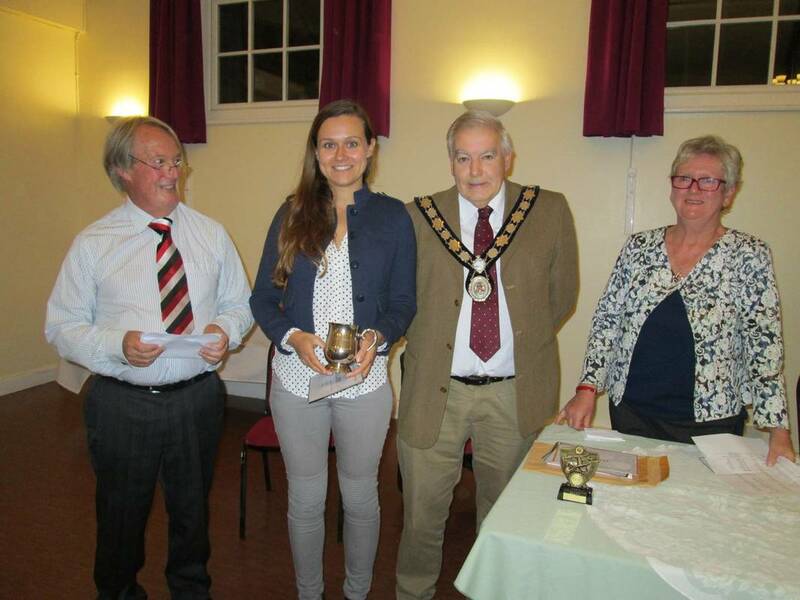 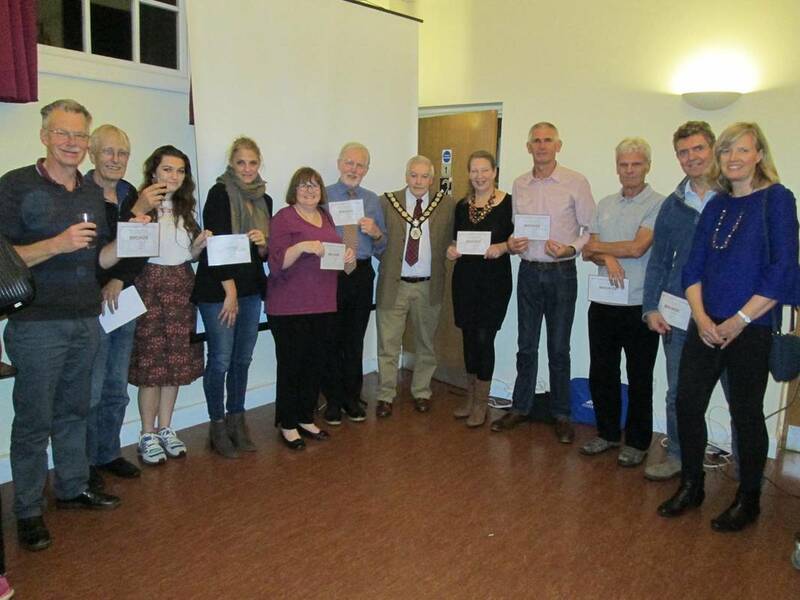 ​the awards were kindly presented by the mayor of Harpenden David heritage. 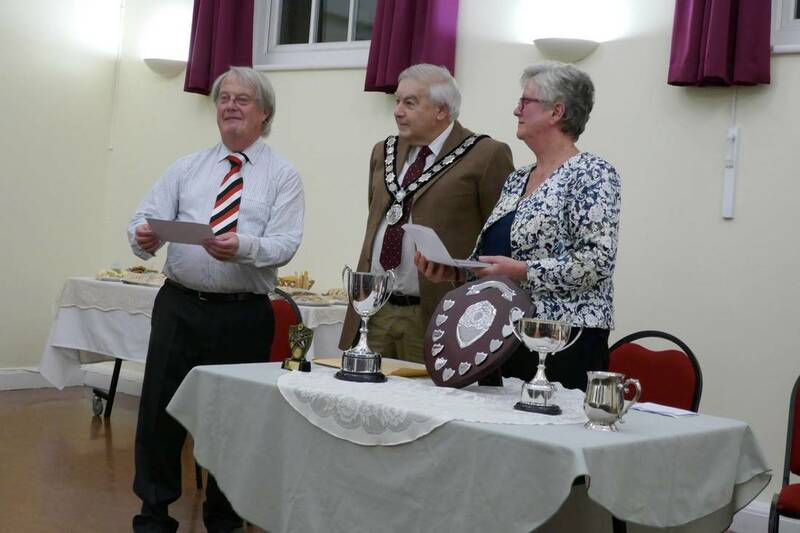 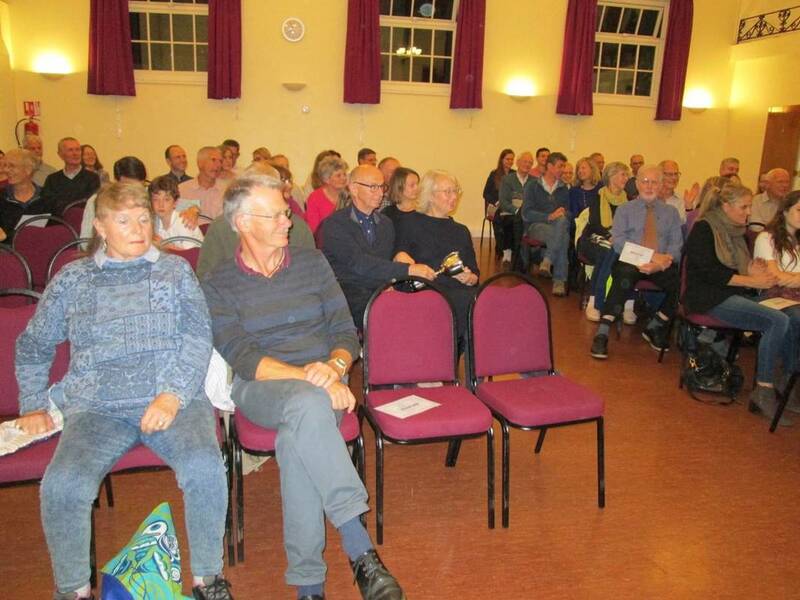 The presentation begins, helped by Janet Barton, who was part of the judging team. 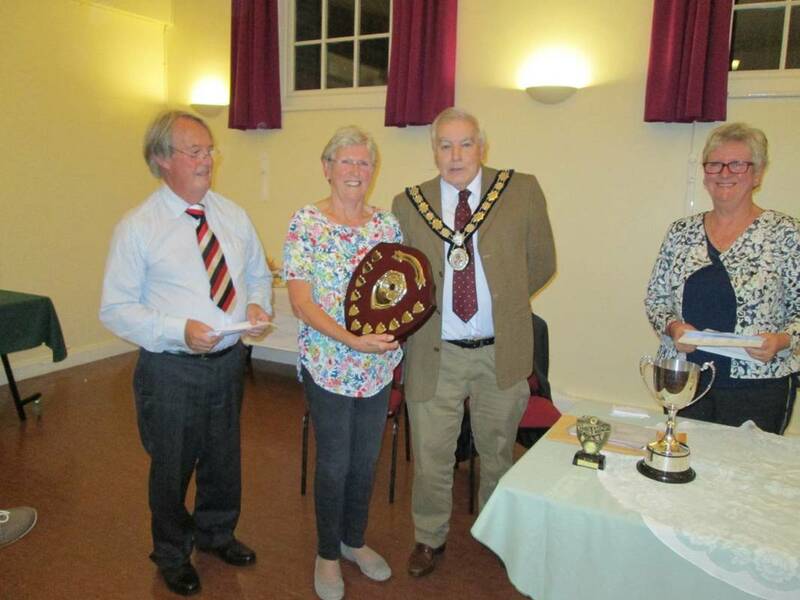 Chris Wilson is presented with the Chairman's Shield awarded for the Best Cultivated Plot. 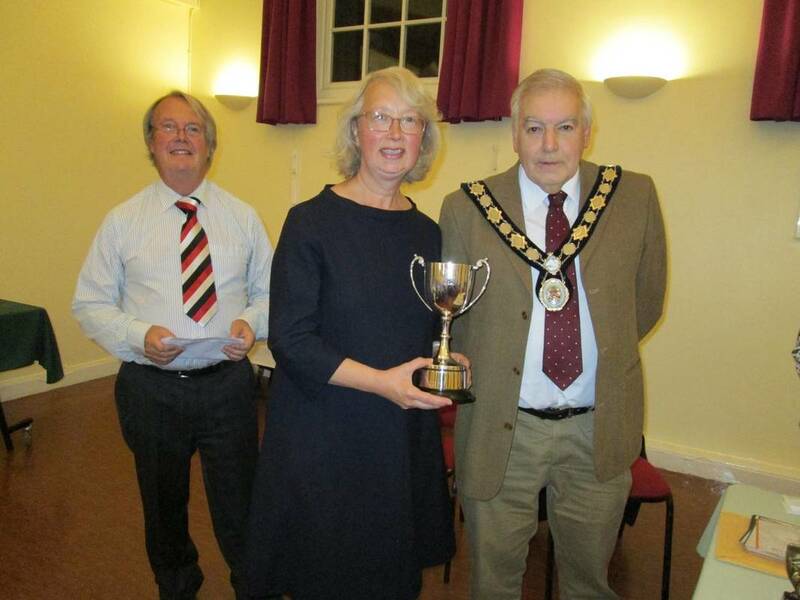 Plot holders from our Sibley Avenue site accept the George Turner Cup, awarded to the Best Site. 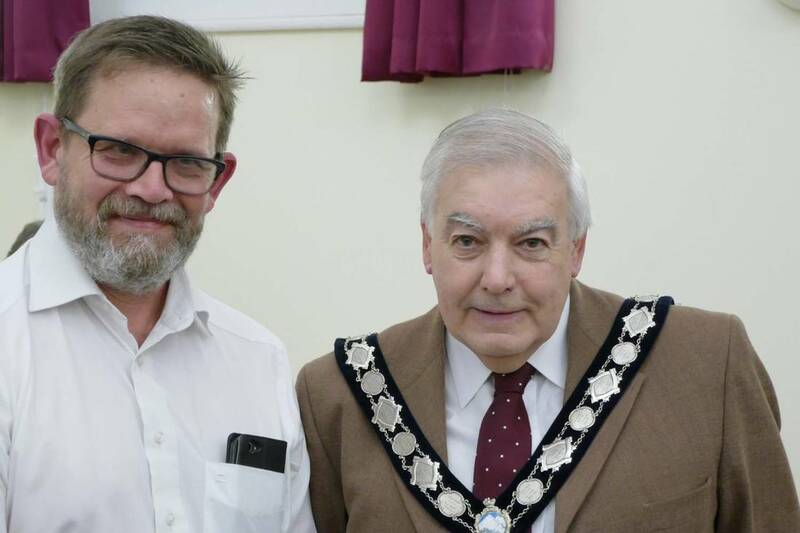 An award winner with Harpenden Town Mayor David Heritage. 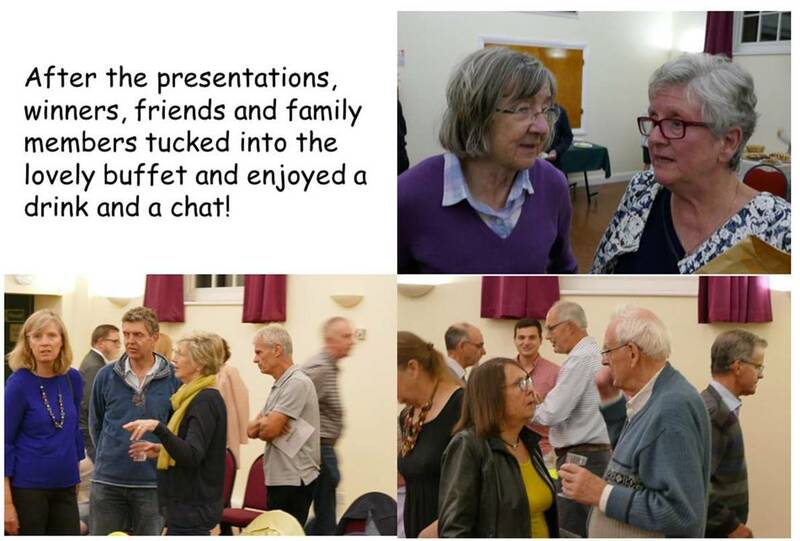 Over 60 winners, friends and family members watch the presentations.